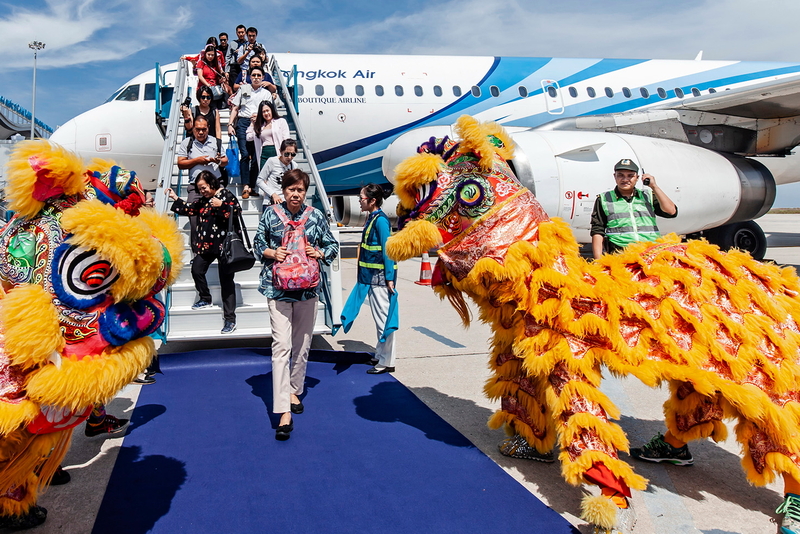 Bangkok Airways has launched flights to Cam Ranh, Vietnam. The airline operates the route four times per week on Mondays, Wednesdays, Fridays and Sundays, with 144-seat Airbus A319 aircraft. The outbound flight PG993 is scheduled to depart Bangkok Suvarnabhumi (BKK) at 10:20 and arrive Cam Rahn Airport (CXR) at 12:05. The inbound flight PG994 is timed to depart Cam Rahn at 12:55 and arrive back at Bangkok Suvarnabhumi at 14:40. Cam Ranh is Bangkok Airways' fourth destination in Vietnam after Bangkok–Danang, Bangkok–Phu Quoc and Chiang Mai–Hanoi flights launched in May 2016, October 2017 and March 2018 respectively. See latest HD Video Interviews, Podcasts and other news regarding: PG, Bangkok Airways, Cam Ranh, Vietnam.